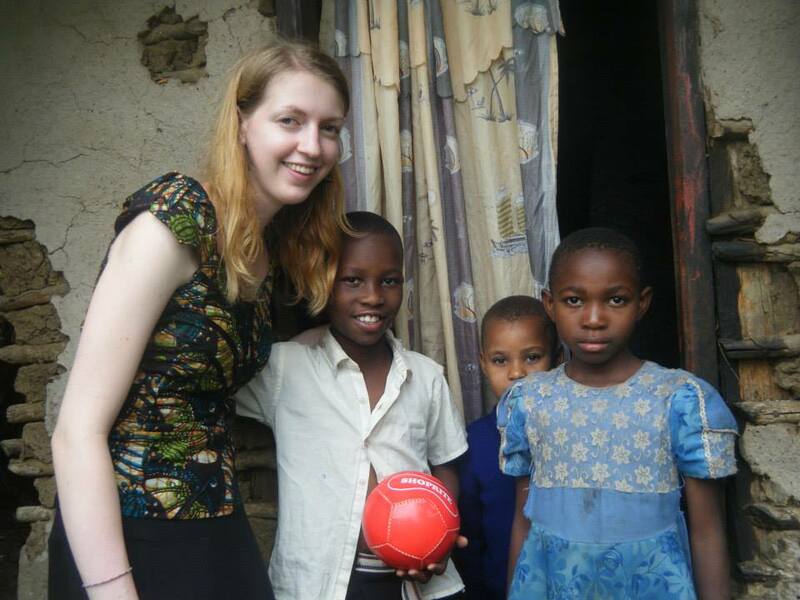 Alice Riley spent 5 months volunteering on our Tanzania programme in 2013. Her time in Tanzania had a big impact on her and she is now preparing to return to Tanzania this summer, with the added dimension of climbing Kilimanjaro and raising money for one of the projects that she got involved in. “This time 2 years ago, I was in a very different place than I am now. In fact, I was living in a house with no running water, a 40 minute uphill walk from the dala dala stop in a village outside Arusha in Tanzania, East Africa. In January 2013, I went to Tanzania through Oyster Worldwide with 6 other girls. I spent 5 months teaching English in a primary school, volunteering in an orphanage, holidaying in Zanzibar and experiencing a once-in-a-lifetime safari. There was also another charity I became involved with. Through a teacher who worked at my school, I was introduced to WAMATA, and the Pamoja Project run by Carol Parker. They run a range of amazing projects, including sponsorship for orphans and children from single parent families, HIV education, and a tailoring class for teenage girls. Through the Pamoja Project, I am sponsoring a child named Salim. He comes from a single parent family with 6 children; his mother does not have a stable job. Thanks to my sponsorship, Salim has been able to stay in school, and attend extra tuition classes. He is now one of the top students in his class. Now, I am going step further. I’m doing a sponsored climb of Mount Kilimanjaro. This summer I am returning to Tanzania, not just to visit friends, but to climb to the “roof of Africa”. The money I raise will go directly to the Tailoring Project run by the Pamoja Project. Each year, WAMATA accepts 20 poorest-of-the-poor girls, many being orphans, for one year of free tailoring training, followed by 5 months of work experience alongside women already running their own tailoring businesses. More than half of the girls end up staying on with their mentors as full-time employees. WAMATA are always short of money to run the tailoring project, but due to its success they are looking at launching a welding class for boys. Thank you for writing this Alice! Everyone here at the Oyster office wishes you well with your climb. Anne climbed Kili last year so if you want any advice, do feel free to contact her – [email protected]. If you would like to support Alice, you can visit her fundraising page. Alice has already paid for her flights, the climb itself and associated costs. All the money she raises will go directly to help WAMATA. To be inspired yourself, why not spend your own gap year or career break volunteering in Tanzania? Oyster has been sending volunteers to Tanzania since 2000 and we have links with worthwhile projects in the fields of teaching, childcare and medicine. For more details contact me by phone (+44 1892 771972) or email me – [email protected].